For many years, a restaurant supply company was like an exclusive club – they require membership, and its members need to have a tax-exempt status. Not so anymore; at least not at One Way Supply Corp. The only thing we want to be exclusive here is our superior service to our customers and our vast array of inventory. Located in Patchogue, Long Island, our clients are from everywhere on Long Island and NYC. 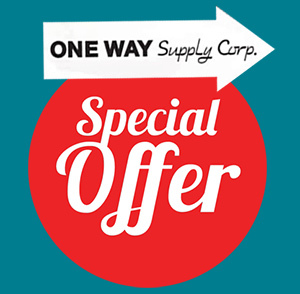 One Way Supply Corp. enjoys a varied clientele that keeps on returning time and time again. From hospitals to cafes, our customers can find whatever they need, in one convenient place. 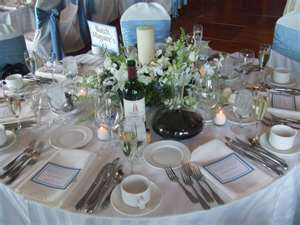 We are a supply company, the place for restaurant equipment and restaurant supplies in Long Island. Thanksgiving or Christmas gatherings? One Way Supply Corp., has all the things you need for a successful day! From plates, tablecloths and paper goods to chafing dishes and coffee urns, we have it all. When it comes to food kitchen safe cleaning products, we have the best. From soaps and disinfectants to mops, pails, and restroom needs, our janitorial supplies and paper goods can help to satisfy your shopping list. For our restaurant, bar, hospital, retirement home, school, café and catering clients, we boast a variety of top of the line appliances and restaurant equipment. Choices can be made from the major manufacturers in the field. We carry, Amana and Adcraft, Baker’s Pride, Bonchef, Vita-Mix, and Oneida, to name a few. We enjoy great business relations with them and either stock specific products or can get them for you. We also offer design services for those who are just beginning their kitchen set-up process.